Over the past ten years, I’ve put these on quite a few feet – ranging from those on CEO’s to those on homeless folks; and not surprisingly, all feet are pretty much the same. It has served as a reminder that while we may wear different styles of experience and character, we are all more alike than we are different and we are all prone to failing health in very similar ways as we approach the end of our lives. 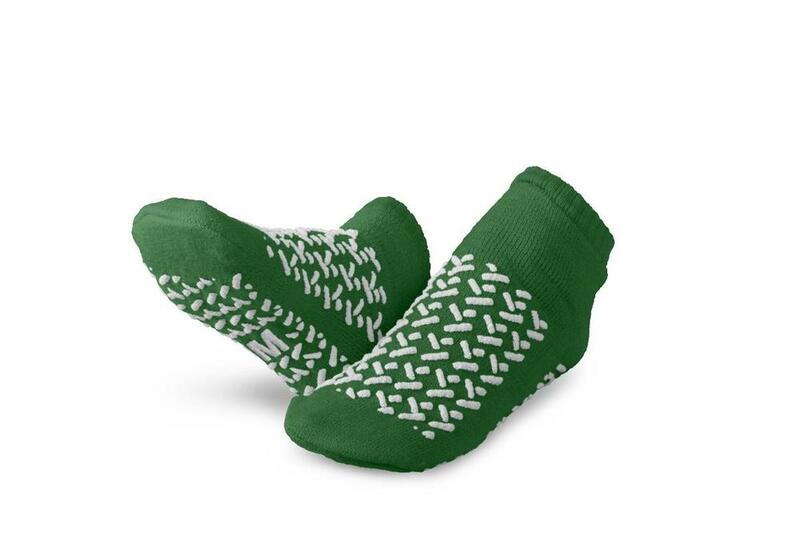 I’m sure there are many other things, just like those treaded green socks, that may bring us to a greater realization and potential for humility, from whichever side of the bed we happen to be.